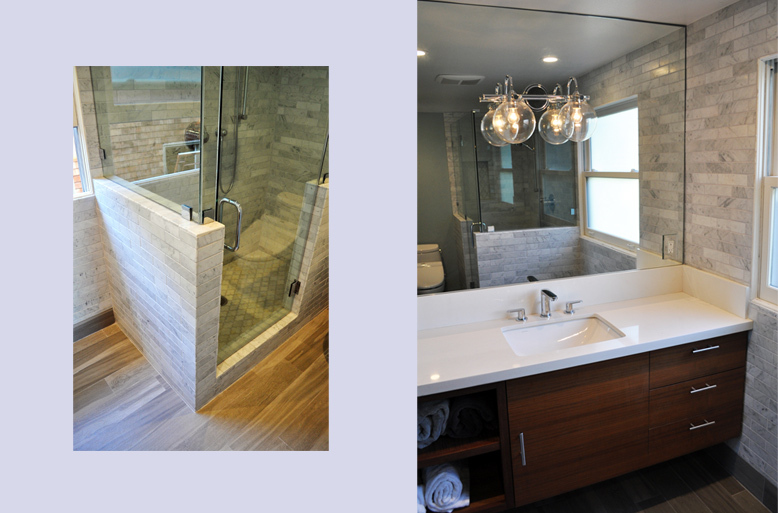 A new luxurious master bathroom is elegantly integrated into an existing 1920 craftsman home. Modern styling combined with classic elements create a sanctuary for the owners. The custom-built vanity is finished in walnut, with Grohe fixtures floating storage. Linear marble tiles complement ceramic wood slat floors. The project also included the conversion of the basement into a spacious accessory dwelling unit. Ample living space that opens onto the backyard, an open plan kitchen area, a private bedroom and in-unit laundry make this a profitable addition to a classic home.